Motorcycle stainless steel armor is good at safety performance. Even under the impact of the strong will not split. 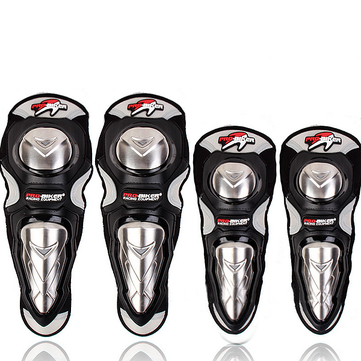 Using high toughness two-sided fixed band,can adapt to any leg type,binding firmer. Using high comfort of soft sponge,let you wear more easily.